It’s crazy to think that we are now into Fall! Where did summer go? It went by so quickly for us. We had so much going on this summer and have come to expect the unexpected. We were able to use our Lay’s Chips points at a number of spots this summer including two dinners at Boston Pizza (yum! ), Subway and a hotel stay in Hamilton, ON. 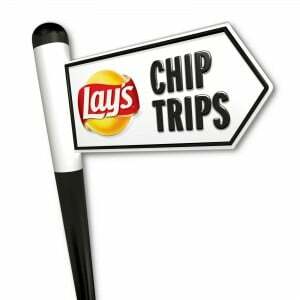 What’s great about Lay’s Chip Trips is that they are all across this great country of ours and you can find some trips close to your home. For us living in the Annapolis Valley in Nova Scotia, we have to drive a bit of a ways to get to all the awesome trips available for the province. So many good ones are in Halifax like Whale Watching and Cruises! I am happy to know that Lay’s Chip Trip Points are good up until December 31, 2010 so if you had a crazy busy summer and didn’t get all your scheduled trips in, it’s not too late! There’s still lots of time for you to keep collecting those Chip Points and printing out your vouchers for discounts and freebies! I feel very happy with this knowledge because we can still do all the things we had planned the next time we are in the city! Our anniversary is coming up in October and John and I would like to go on a mini-trip to Halifax to see the sights. We were thinking about just going for a weekend- 2 nights- since he still has to work during the week. I had a look at under Places to Stay in Nova Scotia on the Lays.ca website and what caught my eye was this offer: Choice Hotels- Stay 1 Night Get the Second Night for 50% off. It’s 50 points to get this trip. 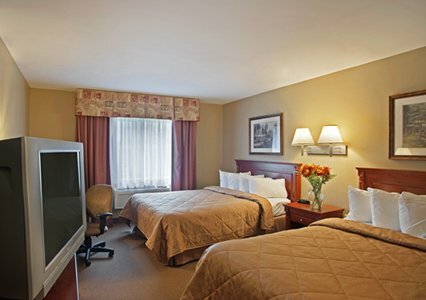 I like the Quality Inn & Suites Bayer’s Lake in Halifax. It’s a mere 15 minutes from the downtown core and is close to the Casino!! Once John found out it was near the Casino, I knew that was where we would be staying! We had such fun at the Casino last year in Niagara Falls even though we didn’t win. Maybe this time we can hit the jackpot??? Head on over to Lay’s Chips and see what is available for your area. Just because summer is over, doesn’t mean the fun is! I am participating in the Lay’s® Chip Trips program by Mom Central onbehalf of Frito Lay Canada. I received Lay’s® Chip Trips points and a gift card to off-set my tripcosts to facilitate this post. The opinions on this blog are my own. Hi there. I did this Lay’s Mom Central Canada blog tour this year too and enjoyed it. I may need to use one of those again though. Thanks for reminding.